Our black acrylic vino bottle cooler is made of a single piece, with molded handles. 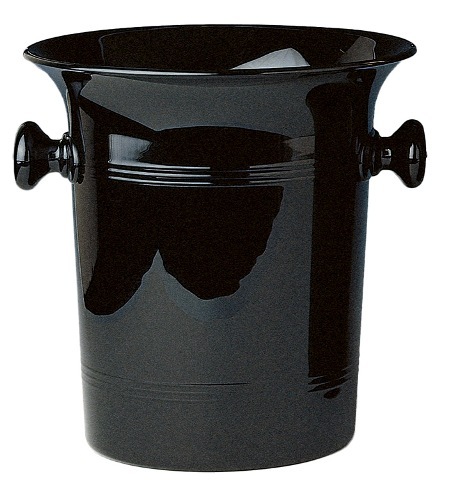 It has a 4 quart rim full capacity and measures 8 1/4" in height by 8 1/4" in diameter. 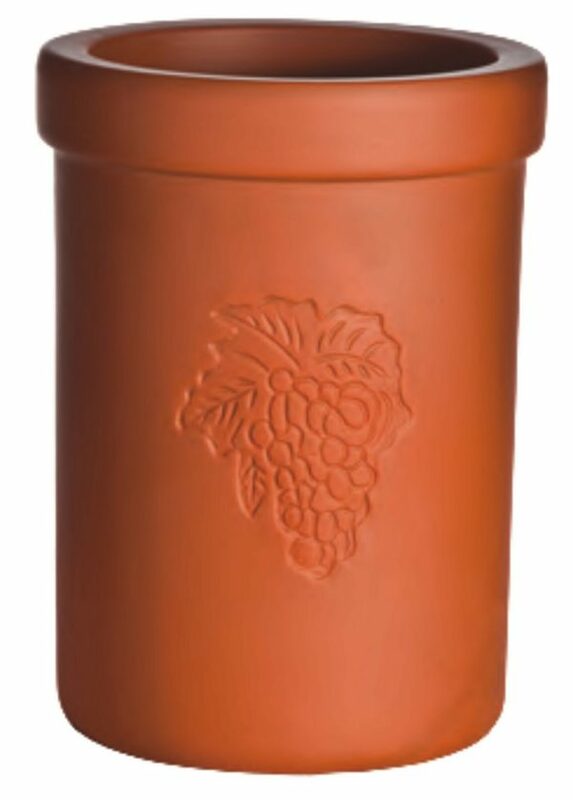 It is a gorgeous bottle cooler that comes with a solid, smooth, colored ridge. It has truly fine details and is made of some of the best quality on the market. 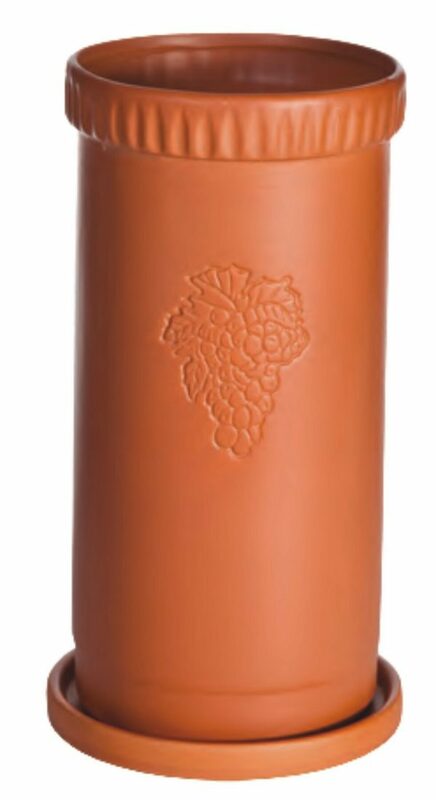 If you own an establishment where bottles of wine or champagne are served, this is an absolute must have. It truly stands out from the crowd, and will make your establishment all the more memorable for it. Wine coolers are vital, as you will know if you serve it. White wines, champagnes, proseccos, cavas, and some roses must be kept cool if they are to be enjoyed. Not only is the flavor not as enjoyable when the drink warms up, but a lot of the aroma is actually lost. Considering that it is rare for an opened bottle of wine to be emptied almost immediately, unless you are serving a very large table, having a cooler there is vital for the enjoyment of the drink. This cooler really is something special, however. Made from a black acrylic material, it is durable and strong, and retains a temperature very well. 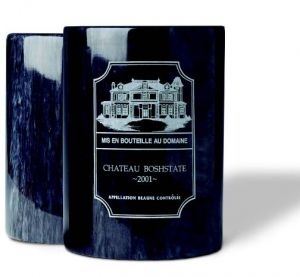 It is large enough to easily fit a bottle and some ice cubes, thereby ensuring the wine remains at the right temperature. It is a true stand out from the crowd design, particularly thanks to its two side handles.